The state of electric vehicle (EV) batteries can get confusing. Although internal combustion engine (ICE) aficionados talk about engine displacement and horsepower, EV drivers often consider energy storage as the most important part of their decision making. Today, there are more lithium battery chemistries than ever and figuring out which one is used where and what appears after the dust settles can be difficult. Here’s a brief look at what’s in store tomorrow from the major EV battery OEMs. It’s hard to imagine that in the 1980s I was hauling an insanely heavy video recorder system. A heavy gel-pack battery swung over one shoulder, the other carried the video recorder, all the meantime balancing the actual video camera on a shoulder, and if you want quality sound, you had to manage a microphone — and boom! Finally, nickel-metal-hydride batteries (NiMH) came to our rescue and revolutionized portability. Then an oil giant (Texaco, which soon became Chevron) got its hands on the battery patent and squeezed out the competition until lithium came to the rescue. It started with the lithium-cobalt-oxide chemistry and moved onto oxides of nickel-manganese-cobalt (NMC), nickel-cobalt-aluminum (NCA), and lithium-iron phosphorus (LiFePO). Today, battery makers work on ways to squeeze more energy per battery cell. LG Chem, Panasonic, and SK Innovation, among a few, have given hints of what they are doing, what they are developing, and what to expect soon (maybe?). According to PushEVs, the battery roadmap for LG Chem is crystal clear. The company continues to solidify its leadership and is now concentrating on the NMC 811 cathode materials. Why NMC 811 battery cells? Because they have a higher energy density and lower cost. The mass-produced 3rd generation are used with electric buses. They are a step up in energy density, reduce cost, and improve charging performance. The company increased the battery’s nickel content, reduced “the specific gravity of cobalt … from the viewpoint of cost,” which needs further clarification. Finally, artificial graphite is applied for rapid charging. According to LG Chem CFO Chung Ho-Young, the current 811 chemistry comes in a cylindrical format, while the pouch format uses a 622 chemistry with plans to move to 712 in the future. In the company’s NCMA chemistry, which adds alumina, cobalt content is less than 10% and this option is planned for mass production by 2020. The 622 format is 70% nickel, 10% cobalt, and 20% manganese, whereas the NCMA chemistry under development brings the nickel content up to 90%. The 712 format is being developed for mass production within two to three years. So far, LG Chem produces NCM 811 battery cells only in a cylindrical format for electric buses, while the pouch cells used in EVs are NCM 622 and have a higher power density. 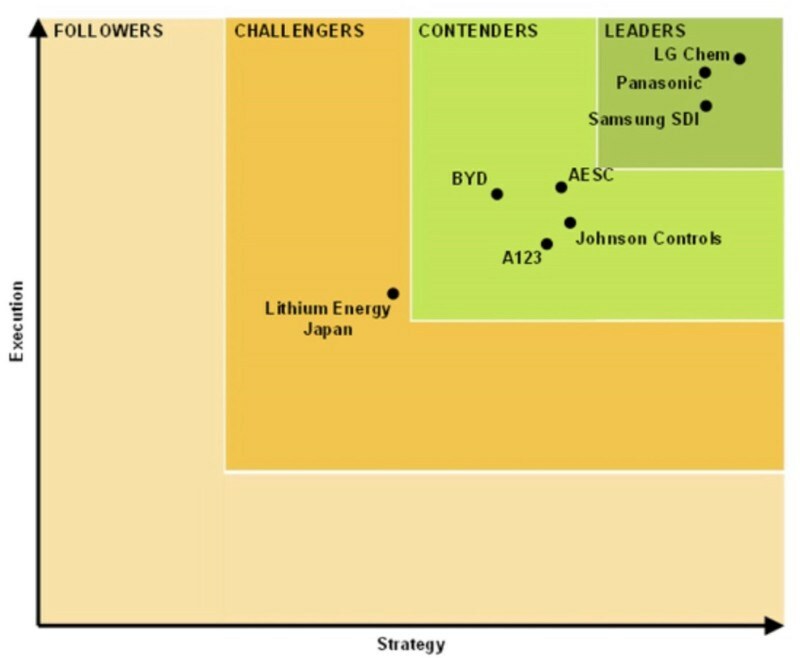 They will get replaced by the NCM 712 or NCMA chemistries in the next part of LG Chem’s battery development roadmap. SK Innovation, another South Korean company, is the other contender which plans to mass produce its NCM 811 battery cells for EVs by August 2018. The first EV to take advantage of this will be the Kia Niro EV (that’s the EV, not the Niro PHEV), while the domestic Hyundai Kona Electric gets NCM 622 battery cells from LG Chem. Tesla claims to have the highest energy density cells used in any EV for its Model 3. It has reduced the cobalt content and increased the nickel content for what it calls a next-generation nickel-cobalt-aluminum (NCA) chemistry, with the cathodes made by other cell producers. Ultimately, Tesla believes “the gross weight of its Model 3 is on par with its gasoline-powered counterparts.” Tesla is still pursuing its close relationship with Panasonic, and Elon has been quoting some mouth-watering Model 3 numbers. EV Battery Technology — Who’s On 1st With The State Of Lithium? So, where does that lead us all? Tesla takes the limelight for many EV achievements and topics, and most of the time, rightfully so. Its use of the Panasonic NCA battery cells in the Tesla Model S and Model X seems to mean the NCAM/NCMA chemistry is next, and that may lead the pack for electric car battery tech. But perhaps LG Chem, SK Innovations, or others are onto something comparable or even better? 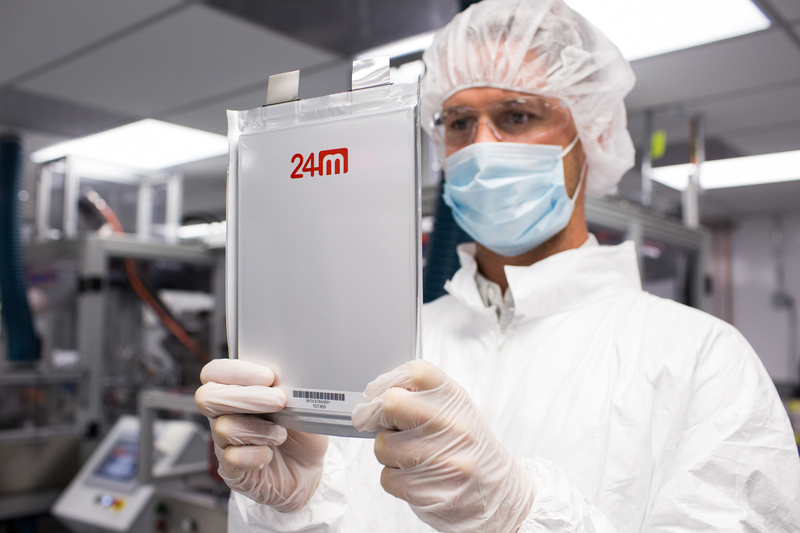 LG Chem expects to start producing its 712 battery cells by 2020. SK Innovations will start doing so with its 811 cells this year. Tesla’s timeline is less clear and it shows its hand a bit less. To date, the Tesla-Panasonic duo seems to be leading the pack with energy density and cost reduction by increasing the nickel and reducing the cobalt content of cathodes. But this is not the clearest topic in the EV world. Overall, no matter how we look at it, battery technology developments continue to make electric vehicles more competitive — and fast — which means we’re quickly approaching at a crossover point where you might just have to be crazy to buy a new gas car over a new EV.